Our experienced landscape designers can transform your yard into a beautiful oasis with creative plantings, professional stonework and paver installation, strategic landscape lighting, and water feature installation. "Let's follow Preferred's staff through a complete job start to finish." Click Here. 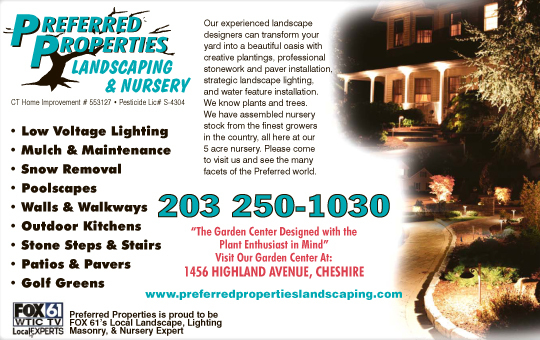 Preferred Properties Landscaping spotted in Delaware!